Tobias Steymans began playing the violin at the age of six, and by the time he was twelve, he was already a preparatory student at the Music Academy in Cologne. After winning prizes at the Federal German “Jugend musiziert” competition and the first prize at the Tonger Competition, he was accepted into Professor Igor Ozim’s master class. After successfully passing the artistic maturity examination he prepared for his concert examination with Prof. Zakhar Bron in Lübeck. This was followed by a two-year full-tuition scholarship from the German Academic Exchange Service to study with Joseph Silverstein in Boston. Parallel to this, he took part in a number of master classes, studying with such eminent artists as Christian Tetzlaff, Thomas Zehetmair, Dimitry Sitkovetsky, Ana Chumachenko, Donald Weilerstein and Max Rostal. He then joined in the founding of the Suavis String Quartet with the chamber music imprint of the Alban Berg Quartet in Vienna. Since 2003, he has been a violinist in the Ensemble Chamäleon, which performs chamber music in piano trio settings. He has been invited to several festivals, such as the Schleswig-Holstein Music Festival, the Schwetzingen Festival, the Mecklenburg-Vorpommern Festival, Aldeburgh, Prussia Cove and Ravinia. He has collaborated with musicians from a number of differed ensembles, such as the Juilliard String Quartet, the Vermeer String Quartet, the Cleveland String Quartet and the Emerson String Quartet. He has taken part in a number of television presentations, including a WDR telecast in the series “Podium junger Künstler” (“Young Artists’ Podium”) and in the program “Träume ohne Schäume”. In 2001, he performed live on WGBH in the United States, playing sonatas by Mozart and Debussy. In 2002 he acquired the position of concert master at the Zurich Opera, while he was also invited the become guest concert master of the Symphony Orchestra of Basel and the SWR Radio Symphony Orchestra in Baden-Baden. 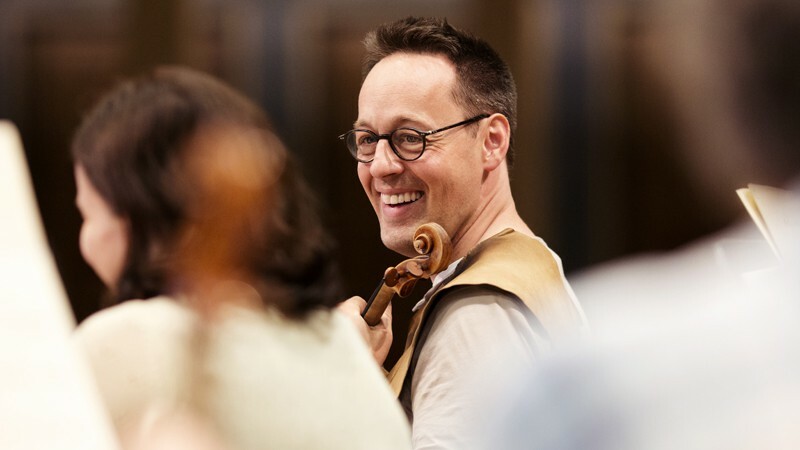 Tobias Steymans was a prize-winner at the 1994 International Violin Competition sponsored by the Georg Kulenkampff Foundation, first prize winner at the 1995 Yfrah Neaman Violin Competition and received a grant from the 1996 German Music Competition. In 1997 he was awarded the Mozart Prize from the Mozart Society in Wiesbaden, and in 1998 he received a grant from the Hans and Eugenia Jütting Foundation, was accepted into the Study Foundation of the German People and sponsored by the German Foundation for Musical life. Solo appearances have taken him to the Cologne Philharmonie, the Berlin Konzerthaus, the Beethovenhalle in Bonn, the Hamburg Musikhalle, the Broadcasting Hall of the NDR in Hanover, the Liederhalle in Stuttgart, the Wiesbaden Kurhaus, the Bremen Glocke, the Karlsruhe Congress Center and the Meistersingerhalle in Nuremberg. Here he has been accompanied by such distinguished ensembles as the Classical Philharmonic of Bonn, the Orchestra of the Beethovenhalle in Bonn, the Cologne Chamber Orchestra, the Hildesheim Symphony, the Mainz Chamber Orchestra, the North-West German Philharmonic, the Southern Westphalian Philharmonic, the Philharmonic State Orchestra of Halle as well as the State Orchestra of Brandenburg. In 2009 he made solo appearances with Cecilia Bartoli in Rome, Turin, Oslo, Stockholm and Copenhagen with the second movement from the Violin Concerto No. 7 by Charles de Bériot and the duet aria “Infelice” by Felix Mendelssohn-Bartholdy. Tobias Steymans was appointed principal concertmaster of the Bavarian Radio Symphony Orchestra in 2009.